Located in the heart of Flagstaff Arizona, our dental office has been proudly serving the community and the surrounding areas for over 20 years. Our office provides a comprehensive array of services including: Invisalign, Dental implants, Porcelain Veneers, Biocompatible Crowns and Fillings, Root Canals, TMD therapy, Botox, Gummy Smile Reduction, Periodontal Therapy, Pediatric dentistry, Same Day Emergency dental treatment and Facial Aesthetics. Our goal is to provide our patients with the happiest smiles. With countless hours of advanced training and investment in the best dental technologies you can relax as your dental needs are met with excellence by our skilled team of dental professionals. We have helped thousands of patients achieve the smiles of their dreams and we can’t wait to help you create yours. Dr. Jacob Williams provides general and cosmetic dentistry services at Northern Heights Dental in Flagstaff, Arizona. He has extensive experience in general and cosmetic dentistry, including full mouth restoration, dental veneers, crowns, bridges, dental implants, wisdom teeth extractions, Invisalign, and dentures. Dr. Williams received his dental training at Midwestern University School of Dentistry. While there he served as senior class president and earned several awards including; The Dean's Service Award, Entrepreneurial Spirit Award, and The Lifelong Learner Award. At MWU he created board study materials that have been utilized by US dental students over 50,000 times. Dr. Williams continues to help dental students and other dentists with study materials. Following dental school Dr. Williams has received advanced training in: guided bone regeneration, ridge augmentation, implant placement, cranio-facial development and airway analysis, 3D guided surgery, orthodontics, occlusal equilibration and bite analysis, TMD therapy, CAD/CAM restorations, full-mouth rehabilitation, and facial aesthetics. 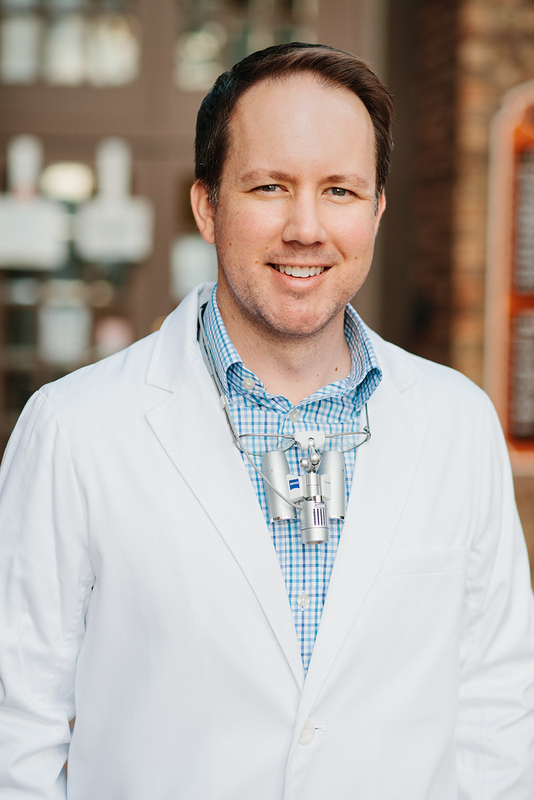 Dr. Williams is a strong believer in using biocompatible dental materials, he takes great care in selecting materials and methods for each of his patients to ensure optimal health, esthetics and longevity are achieved. He loves delivering beautiful high quality dentistry in a friendly caring manner. At Northern Heights Dental, people come first. We help each of our patients to achieve optimal wellness and health by using a whole body approach to oral health. This means not just focusing on cavities, but focusing on; cranio-facial development, bite and joint balance, oral flora, proper muscle balance/function, and bio-compatibility of dental materials. Great care and planning ensure that everything we do helps promote overall health and well being. Getting Here: Our office is located directly across the street from the Flagstaff Medical Center in downtown Flagstaff. The friendliest dental office I have ever visited, not once did I feel unwelcome. Plus Dr. Williams tells you step by step on every procedure he does. Highly recommend this place! I have been to several dentist's in the past couple years, and I would have to say Northern Heights Dental is the best. The entire staff is very friendly and Dr. Williams is very thorough and very personable, and explains everything that needs to be done. Best in Flagstaff ! Absolutely love this place, great staff! Very friendly, Dr. Williams is a wonderful, very attentive to your needs! The staff here is literally the best. They make going to the dentist enjoyable! Dr Williams is an amazing dentist, the hygienists are all so kind and caring, and the ladies up at the front are completely wonderful. The Staff at Northern Heights Dental create a very warm and welcoming environment for their patients and are very skilled and up to date with all of their equipment. Everyone is very nice and willing to answer any questions you might have during your visit. I would highly recommend this practice to anyone looking for a dental office where they can be confident that their needs are a priority. My teeth are so difficult to treat. Possibly from heritage. Dr. Williams has restored my broken teeth with the least amount of cost. I am smiling with confidence now. Thanks to Dr. Williams and his staff.